Singer-songwriter Billy Joel once wrote, “Don’t go changing, to try and please me…” (1977). But that is exactly what the modern, 21st Century church is trying to do. There are those Christians and Christian leaders who promote the idea that the church needs to change, evolve, and emerge. We need to do this, they say, so we can better reach the culture. The result is an impotent and irrelevant church that looks more like the culture than She does like Christ. This is a serious problem! What is happening is not really that new. The specific movement in this direction came about back in the late ’60s and ’70s. It gained momentum in the 1990s with the “church growth movement” and several influential mega-church ministers. The idea was to look more like the culture in the way the church looked, sounded, and dressed. The contemporization of the church has resulted in a watered-down gospel, a disrespectful pulpit, and worse, false converts. It is not uncommon to find preachers willing to curse and swear from the pulpit, claiming “we’re no different than you” to attendees. Most church services resemble concerts and performances with all the focus on the “leaders” – complete with smoke machines, dark lighting, and chest rattling bass subs. Song leaders are performers, preachers are celebrities (not to mention millionaires), and most attendees are “moved” by the service. The problem is there is no real change – no transformation – no maturing in Christ. To support these “approaches and methodologies,” most leaders quickly jump to Acts 17. This is where the Apostle Paul preaches on Mars Hill at the Areopagus in Athens. The claim is made that Paul embraces the culture and uses it to “witness to” the Athenian unbelievers. Proponents say this is grounds for us doing the same. 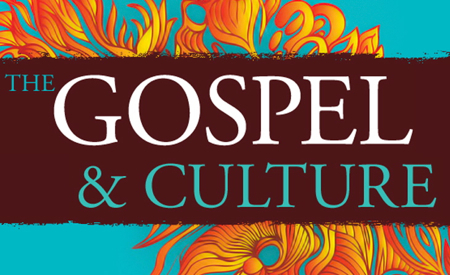 People no longer respond to the “traditional” gospel and we need to “unhitch” from the Bible. But is this really what Paul is doing and demonstrating in Acts 17? I suggest NOT! This episode includes a message I brought from Acts 17 that shows that in fact, this not what Paul is doing, at all! In fact, he continues to preach the gospel, quote from the Bible, and calls people to repent. The gospel never changes…and neither should the message of the church…or Her people.